Basketball fans at the University of New Mexico have always been loyal, loud, and numerous, and the devotees have grown in number over the fifty years since the opening of the University Arena, a.k.a. the Pit, in 1966. Herron recounts many of the best players and games in this celebration of one of the best-known facilities in the United States. With almost two hundred color photographs, this illustrative explosion shows you the players, the plays, the coaches, and the sold-out crowds dressed in red. You can recall the colorful nicknames: Petie Gibson, Marvin “Automatic” Johnson, and, of course, “Stormin’ Norman” Ellenberger. This stunning work also contains extensive statistics that will not disappoint—like who took the Lobos to the most postseason contests. 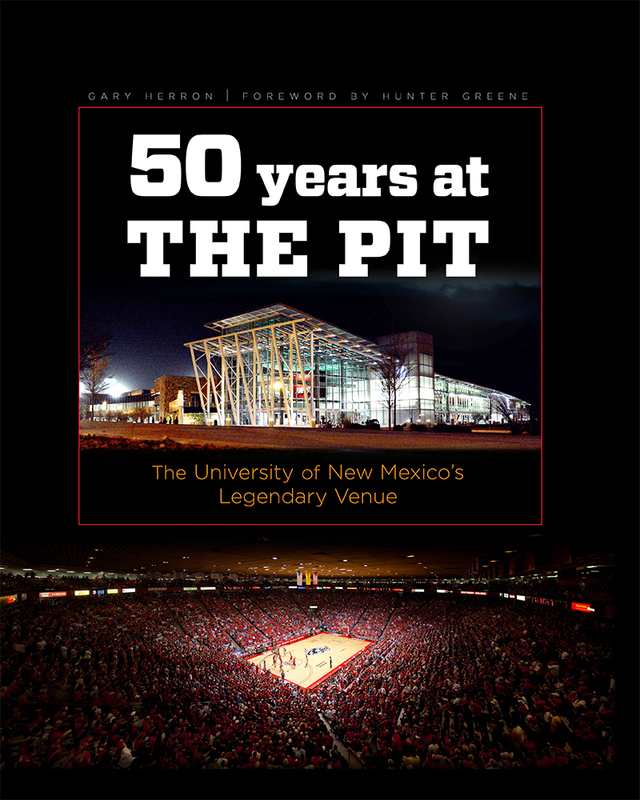 Herron does not overlook women’s basketball, a standout sport at UNM, nor does he omit the great non-UNM entertainment that has happened at the Pit: the NMAA state high school basketball tournament, the Gathering of Nations, boxing matches, bull riding, concerts, and more. Gary Herron has been a sportswriter in Albuquerque for more than forty years. Currently he is the sports editor of the Rio Rancho Observer, an official scorer for the Albuquerque Isotopes, and host of KQTM-FM’s “The Team High School Show.” He is the author of Baseball in Albuquerque and Duke City Diamonds: Baseball in Albuquerque.